Maybe it’s just us, but my spouse and I can never agree on how to set the thermostat. He likes it arctically cold, I like it nice and warm, and we are constantly changing the settings when we think the other person isn’t looking! Unfortunately, this back and forth just put a strain on our own interactions and on our poor AC unit. Far better for us (and the unit!) to agree on a middle temperature and then leave the AC to do it’s thing. We’ll be happier not constantly “fixing” the other person’s adjustments to the temperature and the unit won’t have to work as hard, making it more energy efficient and extending its lifespan. One of the main downsides to constantly turning on and off your AC, as well as drastic temperature changing, is wear and tear on the unit itself. Like most electronics, it suffers from turning on and off too frequently and the parts wear down more quickly. Part of this is because the machine works hardest when it is first turned on. Constant jumps in the temperature setting can have a similar effect if they occur often enough. All of this means that your AC unit is working too hard and will wear down more quickly, leading to costly repairs and early replacement. Closely linked to this is the amount of energy the unit uses when it is working hard. The harder your unit is working, and it works it’s hardest when the temperature settings are changing, the more energy it expends, adding hundreds to your utility bill every summer. Alongside substantially lowering your energy costs and extending the lifespan of your AC unit, there can be additional benefits to your home such as keeping your hardwood floors and wooden furniture in better condition. Rapid changes in temperature and humidity, like those that occur when the AC get shut on and off, causes natural woods to expand and contract, slowly wearing them down, loosen joints, and generally making them loose their luster. Fluctuating temperatures can also have an effect on your mood and how well you sleep. Our bodies function best with consistency and rhythm. 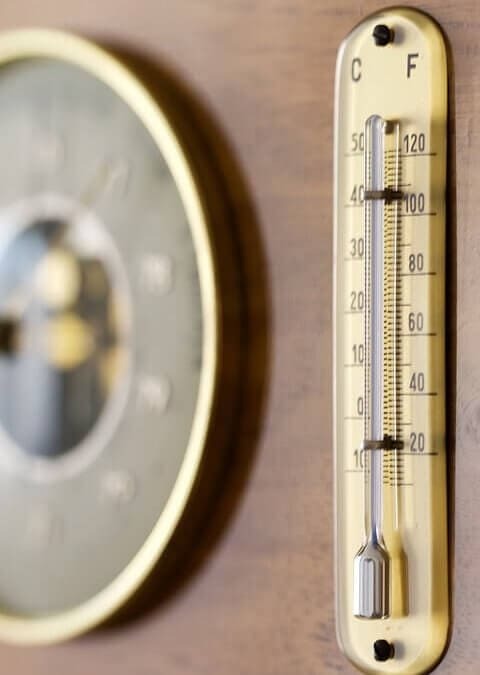 One key element to point out is the above term of “relatively constant.” Refraining from flipping your AC on and off throughout the day does not mean that the temperature has to stay absolutely constant, just that you should avoid drastic changes on a regular basis. 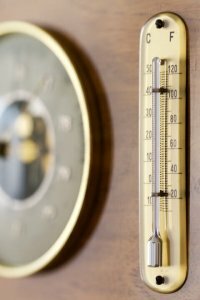 If there is no one home during the day, for instance, you could leave the AC set a few degrees warmer so that the unit isn’t working as hard with no one around to enjoy it, and then set it back at a comfortable setting when you get home. If you are only running errands for an hour or two, it’s better to leave the settings alone, but if you are gone for an 8-hour work day or on vacation, then it is probably best to reduce the burden on your unit. The key to making these determinations is to ask what is going to make the AC unit work less. Generally speaking, it is easier on the machine to maintain a steady temperature than to be turned on and off several times throughout the day. A programable thermostat is a great tool in this area and can help you keep your temperature steady and energy costs low. If you have any questions about the best temperature to set your thermostat or any other AC related topic this summer, please feel free to give Twin Air a call at (703) 754-1062 or contact us on our website.